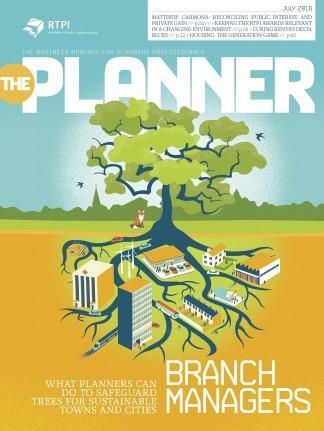 The Planner is the official magazine of the Royal Town Planning Institute. We write for the planning profession with a view to updating, informing and entertaining in equal measure. The Planner is for RTPI members of all levels of experience and we'll always value your opinion and involvement.The magazine provides readers with informative and up to date news, features and coverage of issues that reflect the views and concerns of the leading town planning professionals. A subscription to The Planner includes:• Analysis of the policy, practice and process issues affecting you and your colleagues in the work you do. • Features detailing the economic, social and environmental issues likely to inform future planning policy and activity.• Interviews with the people whose work is most likely to impact on the role of planning and planning professionals.• Interviews with you, the planner, to discuss and share aspects of your everyday work.• Training tips and career development advice specifically focused on the needs of the planning professional.• The legal perspective on the changing planning landscape. Be the first person to tell us what you think about The Planner and you'll save £2.50 on your next purchase!